The craze for vintage goods is still all the rage, and while many may believe that the weak economy is the reason, I choose to believe that it’s the interest in preserving a piece of history that makes people reuse or repurpose (okay, so it’s probably both). Whether you’re strolling the flea markets and thrift stores, or simply cleaning out your closets, there’s a good chance you’ll come across something that can be used in a unique and different way, while maintaining its traditional feel without costing a fortune. Of course, because it’s hot right now, you’ll run across new things that have been designed with that vintage feel in mind (check out the displays of most major department stores!). Haven’t you found that every once in awhile you’ll read a book that absolutely blows you away and you want to share it with everyone? Short of buying multiple copies and locking friends and family into cells with their eyes propped open, there’s not much you can do except repeat your recommendation. Forcing someone to read a favorite can sometimes work (CJ and Beth can thank me for Beat the Reaper), but it can just as often backfire – especially when someone gives you a shrug when you ask how well they enjoyed the book. I’ve decided to offer the electronic equivalent of a “you must read this”, and include a review of a beloved book that some of you might have missed. And you can feel completely free to agree or disagree (I won’t show my disappoint too much). If you happen to read a recommended book – let me know! Let me get you started with an intriguing historical fiction (my favorite genre). 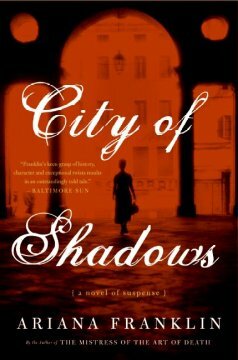 The main character of City of Shadows by Ariana Franklin is Esther, a young woman who has escaped the Russian Revolution for the (comparably) quieter Weimar Republic of post WWI Germany. She works as a secretary for a fake Russian prince, Nick, who owns a number of cabaret nightclubs. Nick shows up one day with a young Russian emigre named Anna; he believes she can be passed off as the lost Romanov, Anastasia, and that he will reap all of the benefits of such a ruse. It all escalates from here. Nick, despite his machinations, is an appealing rogue, and Esther is a full-fledged heroine. As she tries to help Nick, protect Anna, and deal with the corruption in the city (and possibly fall in love with one jaded detective), she shines. And when murder interrupts her world, the threat of the Nazis’ rise becomes clearer. Franklin packs quite a bit into this story, but she’s very deft at keeping all the plotlines enmeshed and coherent. When the story wraps up, with an unusual twist, you’ll be amazed that everything ties up so neatly. Indira Gandhi is elected Prime Minister of India. She is of no known relation to Mohandas Gandhi, but she was the daughter of another famous Indian – Jawaharal Nehru (January). Groundbreaking takes place in Manhattan for the World Trade Center (August). The Beatles begin recording their legendary album, Sgt. Pepper’s Lonely Hearts Club Band (September). Relive the era through a book. Here are the New York Times Best Sellers for the week of November 13, 1966. Groovy! 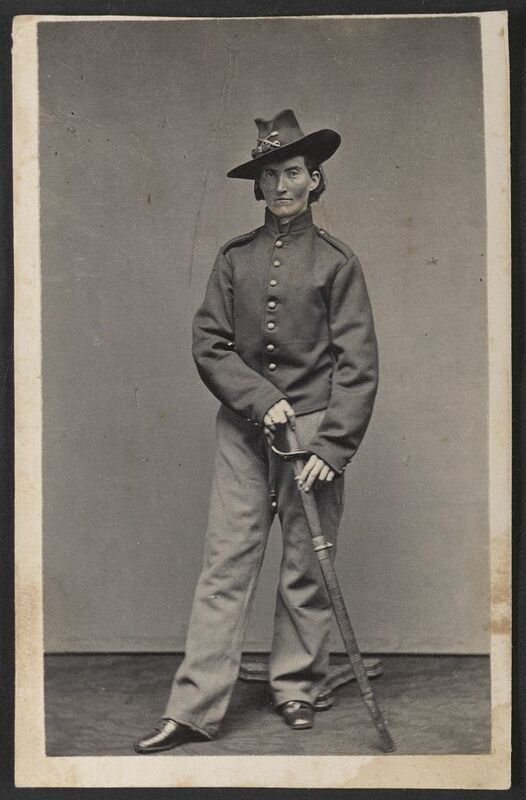 Frances L. Clalin, disguised herself as "Jack Williams" in order to fight for the Union in the Civil War. In times of war, women are often asked to shoulder the burden on the home front – to take care of the children, keep up the country’s morale, and provide whatever assistance they can without actually entering combat. In our most recent wars, American women usually dealt with these problems far away from the action. During the Civil War, women on both sides of the divide had to cope with the issues of a war fought on home ground. Some turned to journals and writing, some disguised themselves as men and joined the fighting, and some of them even passed secrets to the other side. Regardless, many of them helped to shape the “new birth of freedom” that came about after the fighting ended.